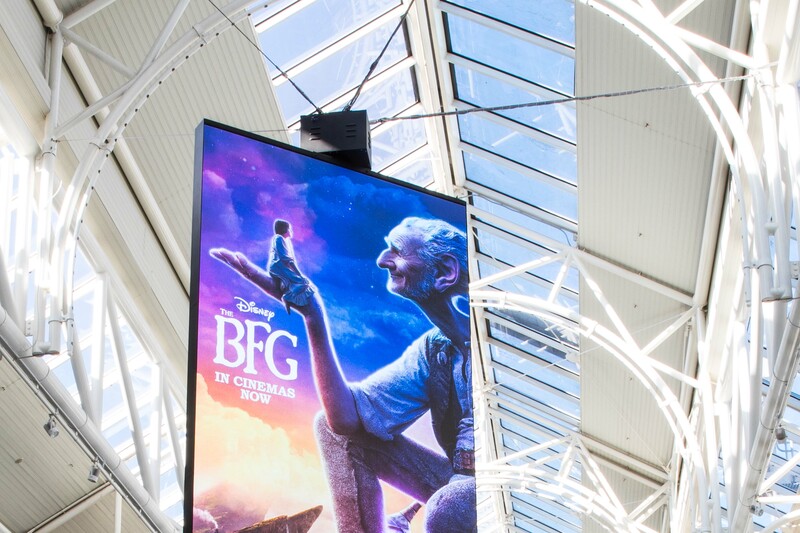 When it comes to working with NanoLumens and its Australian-based distribution partner Digital Place Solutions (DPS), The GPT Group knows from experience that there is no challenge too great for this dynamic duo that has already created breakthrough LED visualization solutions for its Melbourne Central Tower and Highpoint Shopping Centers. Not even an issue as critically important as weight! 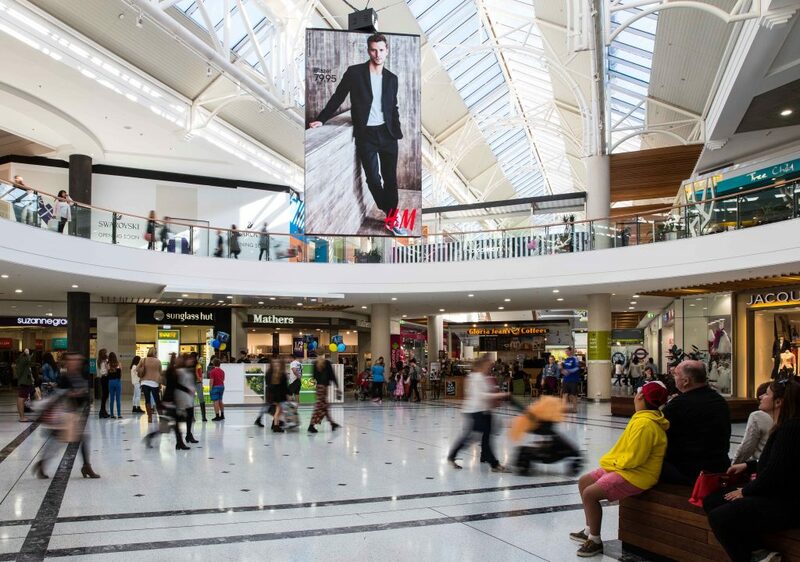 Weight was the challenge that had to be faced when designing a third solution for the newly renovated Charlestown Square Shopping Center in Newcastle, New South Wales. Dwight Hodgetts, The GPT Group’s Charlestown Square General Manager, knew that the solution created for the space would have to work without requiring expensive structural work on the existing roof. According to DPS Director Gerry Thorley, the existing roof structure of the Charleston Square center required the team to design and engineer a rotating solution that would weigh less than 1,000kg, or 2,204 pounds so that it could be suspended from the existing ceiling of the shopping center’s main glass atrium. The result is the first NanoLumens rotating system to be installed anywhere in the world. It is comprised of a double-sided 4MM portrait format display measuring 2.44m Wide X 4.27m High (8-feet W X 14-feet H) that is discretely coupled directly to the top of the rotator. In order to ensure a seamless fit, the newly developed Dynapac rotator was shipped to the NanoLumens design center in Georgia and the LED display was designed and engineered specifically for the rotator. 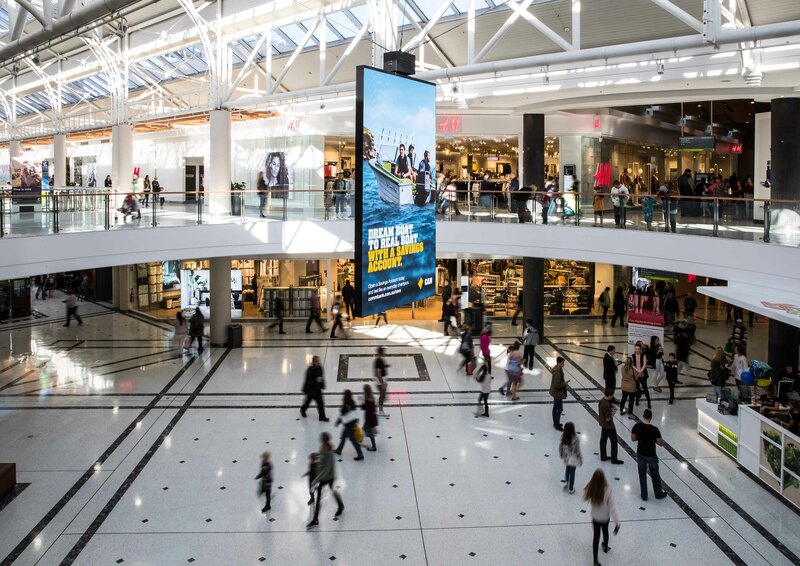 The world’s first rotating NanoLumens LED display was installed and fully operational for the July 14, 2016 opening of the center’s first H&M store, located directly adjacent to the new display. According to NanoLumens Vice President of Strategic Accounts Almir DeCarvalho, “We approach every project from the perspective of each client’s unique needs. Charlestown Square is the largest shopping, dining and entertainment destination in the Hunter Region. The 88,000 square-meter, or 947,224 square-foot, shopping center is currently undergoing an internal development to bring new and exciting international retailers to the Hunter during 2016. With more than 240 specialty stores, including Apple, City Beach, Rebel Sport, Strike Bowling Bar, and H&M, Charlestown Square has something for everyone. It is also home to the only Myer department store in the region, as well as a number of other major stores, including Target, Big W, Woolworths, Coles and Reading Cinemas. The Center has over 100 fashion stores, including more than 30 exclusive stores.